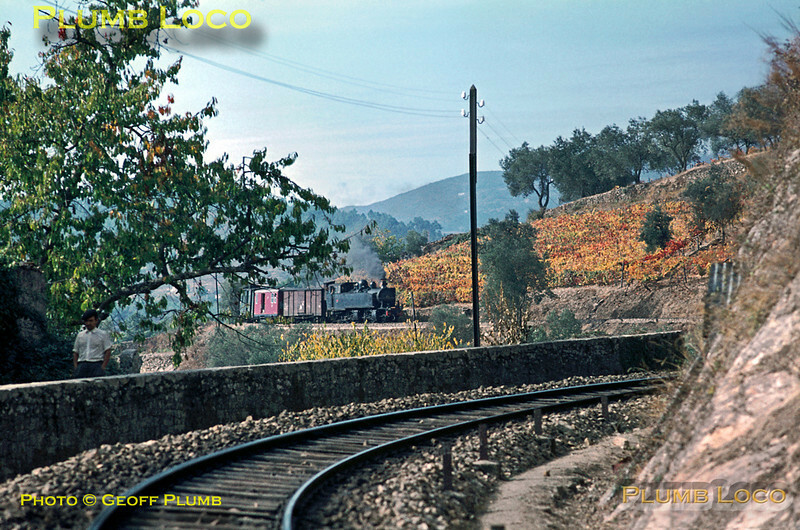 E206 is descending the curves around the hills at it drops down to Carrazedo with its mixed train, the 14:04 from Vila Real to Régua, Wednesday 4th November 1970. Slide No. 5779.